What I Think Wednesday:Nigerian Weddings and the Nigerian Economy: Can one save the other? Fast forward to 2016, Nigeria’s economy is suffering immensely, and according to Dan Steinbock from Valuewalk.com, “without aggressive economic moves and harsh security measures, the economy could face a disastrous free fall.” One of my best friends, who happens to be Nigerian has shared stories with me of brick and mortar businesses being bulldozed by the government without warning to the business owners because of unpaid rent. In some cases, the rent had been paid, but the landlords of the properties never gave the Nigerian government their cut, so innocent business owners are now taking the hit literally! International investors are fleeing, the naira is about 315 to a US dollar, and people’s human security needs i.e. food, water, shelter are not being met. Im sure that folks who are reading this are going, “Okay Michanna, what does this have to do with the beauty industry or makeup?” My answer? Its bigger than makeup!! Over the last year and a half, I have had the wonderful opportunity and privilege to work side by side a well respected Nigerian American make up artist and provide artistry services for some Nigerian weddings that make the wedding scenes in my favorite movie Coming to America seem like a little shot gun wedding with a $100 budget! From the decor, to the locations and venues, designer dresses, suits, and shoes, etc… the money spent on these occasions is just mind blowing. According to bloomberg.com, $17 million US dollars have been spent on parties in Lagos, Nigeria over a five month period this year so far, and at least one fifth of them were weddings. Forget about the parties, I have heard of brides paying some Nigerian makeup artists $1,000-$1,500 just for doing their makeup alone! Now before all of you start packing your kits and purchasing tickets to Nigeria, please note that the market over their is already over saturated, attorney’s and doctors have quit their full time jobs to open makeup studios, and it has become a survival of the fittest environment. While I have observed all of this with my own two eyes, I also have observed something else. Every Nigerian bride and groom that I have met doing the makeup for these weddings are educated with great careers. They are doctors, lawyers, engineers, bankers and economists, and have attended great schools either in the US or Europe. Back to Nigeria being a super power. When I put all of these things together a very glaring question always comes to mind. What if Nigerians who were preparing to spend thousands or hundreds of thousands of dollars on their wedding figured out how to somehow funnel the money back into their own economy with checks and balances for how the money is managed? With all of the education, and money, and number of Nigerians having these opulent weddings, surely it could make a difference! Lets look at this thing in more detail. When I am doing makeup for some of these wedding I notice that the whole wedding party has designer shoes, I mean there are “red bottoms” everywhere! Lets say that on average, the bridal party is 16 people and at least 12 of the women in the bridal party have designer shoes. If each pair of shoes equals roughly $500(i googled average cost of designer shoes in 2016) and you multiply that by 12, that equals $6,000 and 1,890,000 naira! If you add another $6,000 from the groomsmen which is another 1,890,000 naira, that is a nice sized chunk of money, and all that we have calculated were shoes! Based on the stats of money spent on shoes alone, I think that my point has been made for how much money is spent on Nigerian weddings. Now no diss to Christian Louboutin, Jimmy Choo, Chanel, or any of the other European designers, but the last time I heard any of those companies discuss police brutality(Nigerians who live in the US no matter how educated can be pulled over because of the color of their skin too), inequalities in education for people of color, brain drain on the continent of Africa, or the failing Nigerian economy was … let me see… um never!! Way back in 2005 when my professors said that Nigeria had the potential to be a super power in Africa, they got it wrong. Nigeria has the potential to be a super power for the whole entire African diaspora! Right now people of African descent are having to rethink many things, one of those being whether or not we want to continue to live in a country where we risk being gunned down for trivial things like driving, selling loose cigarettes, and walking down the street no matter whether we are educated and can afford expensive weddings or not. In the large scheme of things, if Nigerians started to really plan and focus on channeling some of the money from these opulent weddings into the Nigerian economy where they could control how the money is managed once it gets there, that could very well be the start of an economic revolution! Imagine if young couples getting married organized a way to do this by only supporting Nigerian vendors abroad and stateside for everything including dresses, shoes, fabric, photography, cakes, food, planners, rings, venues, airlines, hotels, travel agents, and all entities involved agreed to invest a portion of the money made back into the economy in a controlled way weeding out mismanagement of funds. International investors would come back, jobs would be created, and the young couples could essentially create a new infrastructure dismantling corruption, and the absence of checks and balances. As it is related to those of African descent like me who may be looking for a new place to reside, Nigeria could be the place to be! Now I know that I am being very opportunistic, but our countries have to be our priority. It saddens me to know that while we spend billions of dollars to celebrate one day, a potential super power of Africa and of the African diaspora suffers greatly. It is time for us to be selfish and support our own! After Beyonce shocked America with her political Super Bowl performance, Zac Posen decided to make a statement of his own. During this months New York Fashion Week, Zac Posen made the choice to use mostly black models for his show proving that black models are just as valuable to the fashion world as any other. In this case, roles are replaced by runways, but the message is still the same. Zac Posen you are appreciated!! Christmas day one of my good friends, who also happens to be a makeup artist, and I saw the movie Concussion. We sat through it, and had tons of commentary. Im sure the couple in front of us wanted to get security to put us out, but they were nice enough to allow us to be ‘Chatty Cathy’ dolls. We both related so much to the main character Omalu, a Nigerian doctor, played by Will Smith it was scary! Now you may be thinking what do two makeup artists have in common with a Nigerian doctor that discovered an awful disease which causes athletes that have had several concussions to experience symptoms like memory loss, hearing voices, and mental and physical pain that drives them to commit suicide? Well lets point out the obvious similarities. My friend is Nigerian, and I am African American, so the three of us are all of African descent. My friend also has a brother that had a brief career in the NFL, who was obviously also Nigerian. While I do not have any brothers that have played professional football, I do know black men who played football in high school, college, and the NFL. Like Omalu, both my friend and I have advanced degrees, not eight like his character who was based off of a real person, but we have pieces of paper from institutions that are supposed to help validate our educational and social status in this country. Also like Omalu, even when people know that we are educated, they still attempt to belittle us because of the color of our skin. After seeing the movie, as I sat on a bench waiting for the metro, a woman rushed to take her purse off of the bench and push it behind her as if she was scared that I was going to steal it, also because of the color of my skin. When I read the paragraph above I was pissed, even without knowing officially that 2/3 or 68% of NFL players are of African American decent, Anyone could assume those statistics just from watching football on Sunday, Monday, and Thursday evenings! For Merry to say that the story of the immigrant “losing faith in the American Dream” overshadowed the NFL smear campaign was just plain sad and predictable. Omalu’s experience was just as important if not more because of the direct relationship that him and the 68% of NFL players have in obtaining the American Dream. Omalu was a Nigerian immigrant, but Im gonna jump out on a limb and say that all people of African descent living in America are immigrants! The only difference between Omalu and most of us African American’s is that he knows exactly what country he comes from. None of our ancestors willingly volunteered to leave their homelands to travel on slave ships from West Africa to come and build a foreign country for free and witness the continual struggles of their off spring, but that is what happened earning us, the off spring, the title of immigrants. As far as his treatment in America is concerned, he is treated just like any other black man in this country. Just from his appearance alone, the statistical data shows that he is more likely to end up in jail or dead when compared to his white counter parts, and just like me, when and if he is just walking down the street or riding the metro, eight advanced degrees or not, the same woman who was so quick to grab her purse when I sat down for fear that I would steal it would do the exact same thing to him. As for the “immigrants” who play football in high school, college, or the NFL, the same argument can and has already been made for them. Because the American Dream is so difficult for a person of color and especially a person of African descent to attain, tons of black families push their young men who are talented in football to be the best with the hopes that they go pro. When those young men do, they are able to automatically take their families which are often poor from rags to riches. Aside from the struggles that having dark skin in this country provide(Ferguson, Flint, Southside Chicago, South East DC) imagine whole families losing their men in their forties and fifties to a disease from the very sport that financially supported the family in the first place and helped to provide the “American Dream”. I cannot help but thank the writers for showing an honest depiction of an African man trying to get his piece of the great American Pie. It revealed for me that we are all in fact African and not American which is why the dream never quite happens for us the way we see it happening for our white counter parts( just ask Will and Jada). It also made me think that Stephanie Merry needs to remind herself when she watches movies to check her own privilege. Within the past few months, articles have popped up discussing the rise of a globalized world, women of color, and their noticeable increase in spending power in the world of cosmetics. Beauty Inc magazine, a publication that provides a behind the scenes look at all things beauty in the U.S and other countries, fastcompany.com and bloomberg.com both, publications focused on business, technology, and design have all published these articles to name a few. Fast Company’s article, “The L’Oreal Chemist Who’s Changing The Face Of Makeup”, and Bloomberg Business’s article, “The World’s Biggest Cosmetics Brands Are Finally Courting Minorities” both mention that in 2014 the “multicultural beauty products market grew 3.7 percent in the U.S., outpacing the growth of the overall market for cosmetics and toiletries. This data means what exactly? About ten years ago, I remember reading an article in Essence magazine, a publication that caters to women of color and especially black women, that provided some very similar statistical data. The article stated that women of color out spent every other demographic in the cosmetics industry by large margins. Lets take it back even more. 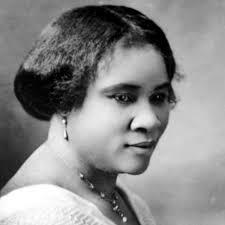 In 1905, Madam C. J. Walker went down in history as arguabley the first female millionaire in America. She made her fortune off of you guessed it, the cosmetic industry. Recently I learned that before she made her millions, she had a mentor who also was African American, and also, was a self made millionaire. Both of these women made their fortunes off of creating, manufacturing, and selling hair care products to women of African descent. For those of us who remember high school history class, we remember that on those two pages that covered black history in our American history books, that black folks were not doing so well economically in the early 1900’s. I mean, there was the “discovering of America” by Christopher Columbus, a strange “disappearance” of Native Americans, which left none of the Native American women to buy cosmetics, and then us. When I say us, I mean Africans brought over as slaves to “help out” on plantations and in urban settings leaving us strapped for cash to say the least. Even given those circumstances, shortly after slavery, somehow black women all over the U.S were able to make not one but two black women millionaires and several of their employees financially “comforatable” by purchasing their beauty products. In summation, I would love to give a great big You can’t be serious shout out to all of these publications and cosmetic giants that have finally decided to stop ignoring me and women who look like me. It has been proven by a ton of geologists and archeologists and anthropologists that we all originated from Africa. It has also been proven that the remains of the oldest human belong to an African woman. What does that suggest L’Oreal and Estee Lauder? It suggests that when Cleopatra, also African, was busy enticing Ceasar we had incredible spending power. It suggests that when the queen of Sheba was busy running an empire, she might have wanted to even out her skin with some clay that matched her complexion. It suggests that Madam C.J. Walker knew that if she created hair care products that worked on her self that she could probably sell them to other women whose hair texture was similar. It means that Lupita, Taraji, Traci Ross, Jennifer Lopez, Coretta King, Assata Shakur, Pocahontas, YoNasDa Lonewolf, Vera Wang, etc … all deserve to not be ignored!! Last question, since our spending power is proving to be the main catalyst for major cosmetic companies to finally see us, does that mean that money trumps race in the world of cosmetics?